Okay so maybe you’re not screaming, but we don’t recommend reading these books at night. 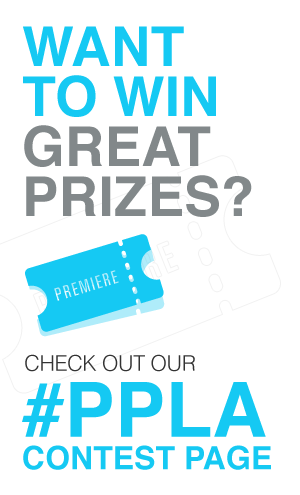 Unless you’d like to leave the light on for a month. Or perhaps you are screaming? We’ll let your heart decide…if it can take it. Try turning the page if you dare. This is a special edition of our normal ‘Page to Screen’ series we’re chilled to the bone to show you: Page to Scream. You’re welcome horror fans. 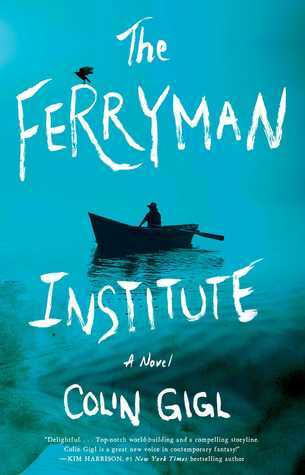 ‘The Ferryman Institute’ by Colin Gigl, isn’t strictly horrifying. This dark novel follows a “Ferryman” (guide of dead souls) who makes the worst or possibly best decision of his existence. Charlie Dawson is our protagonist’s name and his prerogative as a “Ferryman” is to save people. Yes you read that correctly. His job is to convince people to move on to their afterlife. Charlie is unwavering in his duties building quite the legendary reputation for himself, regardless of how unwanted it becomes. His duties are causing his mind to unravel but ‘The Ferryman Institute’ is unwilling to let go of their star. Charlie falls into a hopeless existence trapped within his dark duties. After two hundred and fifty years of saving the living by passing them safely into death Charlie does the unexpected: he saves one. Whether he meant to or not (claims he didn’t) Charlie saves Alice from the grip of death. You can’t imagine that going down well at the institute and you guessed it: it doesn’t. Waking up from two hundred and fifty years of a hopeless existence is no easy task. Charlie isn’t willing to go down without a fight, even if it means the death of all mankind. We loved the darkness yet light at the end of the tunnel vibe this book gave us from start to finish! This book as a series would be a great fit on Netflix, Hulu or Amazon Prime. Bravo for streaming and the excellent high quality shows they bring to us. 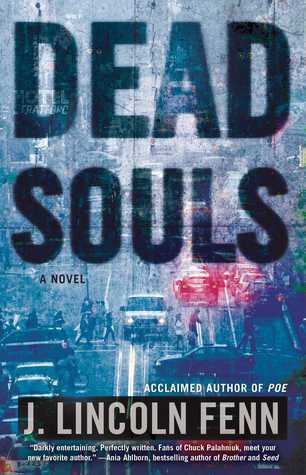 ‘Dead Souls: A Novel’ we’re low key terrified of this novel. Don’t read this before bed or do? We recommend midday with good sunlight for minimum fear. Horror fans rejoice, this book travels down the dark paths humanity just can’t seem to stop following. Written by J. Lincoln Fenn he leaves you on the edge of your seat with a trail of goosebumps down your spine. You’ll be sure to recommend this sweet darkness to all your fellow horror enthusiasts. Our protagonist Fiona Dunn is having a drink at the bar like any of us might be when a man claiming to be The Devil strikes a bargain with her. A wish, any wish for her immortal soul; and a favor owed. Yeah, because being The Devil he can’t very well only take your soul in perpetuity the jerk also requires a favor of his choosing. Fiona under the assumption this is a wild new trend agrees, before she realizes she’s now a part of the darkest and cruelest (unwanted) elitist club ever made. Sworn into the ‘dead souls’ and living in fear of every breath with The Devils unclaimed favor over her head, this is one psychological mind game you wont want to miss. A book of this intensity belongs only in one place: theaters. Hoping this will make a Halloween appearance in the following years. Here’s to looking at you Screen Gems and Lions Gate! 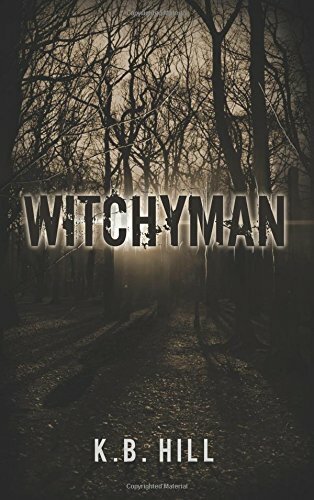 The Witchyman brings new meaning to the words ‘urban legend.’ This horror-thriller is meant for an adult audience as it’s dark and often graphic pages will make you uncomfortable (in a good way) in your own skin! The book is by first time author K.B. Hill, a Canadian transplant to Los Angeles. The story focuses on Kris James, a Los Angeles artist who moved to the city from Winnipeg to escape her past. Unbeknownst to her, at first, her charcoal sketches are a manifestation of her dark past. Before long, she finds herself being terrorized by the Witchyman, thought to be nothing but a scary story from her childhood home. As he takes her new life apart, she decides she must return to Winnipeg in the dead of winter, to meet him in the place it all began so long ago. This book would do equally well on the silver screen or on TV as each of it’s characters has a past whose stories could be explored. While we’re left with some resolution, her trip to Winnipeg leaves more questions than answers! Showtime, AMC, Miramax…are you listening?